The body goes through great changes every single day and some bodily processes bring negative changes to the health. There are different techniques that normalize the body. Though old, there are many ways acupuncture benefits skin. What is acupuncture and how it works? Here is what it is like to have acupuncture in Dubai. Continue reading to learn more about it. Acupuncture is a complementary medical practice where certain points of the body are stimulated with the help of a needle that penetrates the skin. This technique is known for alleviating pain or to help treat various health conditions. It originated from China hundreds of years ago and doctors had not been sure about its effects in the past. Today, there is much research to support the significant effects of acupuncture in treating pain and nausea. During the treatment, the professional inserts needles at specific points. There are many other medical and psychological problems that can be cured either with this unique technique. There are many ways the acupuncture benefits skin. The leading doctors and medical institutions now recognize acupuncture as an effective method to heal a variety of problems such as pain and nausea. Researchers are now working on ways to reduce cancer symptoms such as hot flashes, peripheral neuropathy, and lymphedema. The World Health Organization is maintaining a list of conditions and disease that can be cured with the help of acupuncture. Researchers are now working on ways to treat psychological problems using acupuncture technique. It works well for the people with a particular lifestyle. When used in conjunctions with medications, acupuncture can enhance the effects of a treatment. It helps in treating chronic pain, weight loss, gastrointestinal, issues infertility, and anxiety. The list of conditions it can help with is long. Allergy Relief: It is a good method to treat allergies. Acupuncture can provide relief from different allergies. Reduced Pain: It is known for its uses to treat back pain, neck tension and relieve joint pain in the hands and arms. It is often used to reduce the headaches and migraines. Reduced Stress: This technique is a good way to get rid of stress and depression. In fact, stress is one of the common conditions people take acupuncture treatment. Reduced Eye Strain: The eye strain is often linked to neck tension and it can be cured using the acupuncture technique. Reduced Cigarette Craving: Do you want to quit smoking but you just cannot? This technique can make it easy to reduce and eventually quit smoking cigarettes. Improved Immune System: Acupuncture can be used to improve the immune system thereby reducing the sick days. Relief from Digestive Conditions: The digestive system can play a significant role in the overall health. The digestive system could be effectively regulated with it. Different types of needles are used to perform acupuncture. Even in ancient China, there are 9 types of needles used to do it. These needles are mostly made of stainless steel and the professionals use them after sterilizing them. The professionals can be left in the skin for a particular length of time. The use of needles in such as way is not harmful at all if performed by a qualified and experienced professional. Please book an appointment if you need acupuncture in Dubai or if you want to learn more about it. 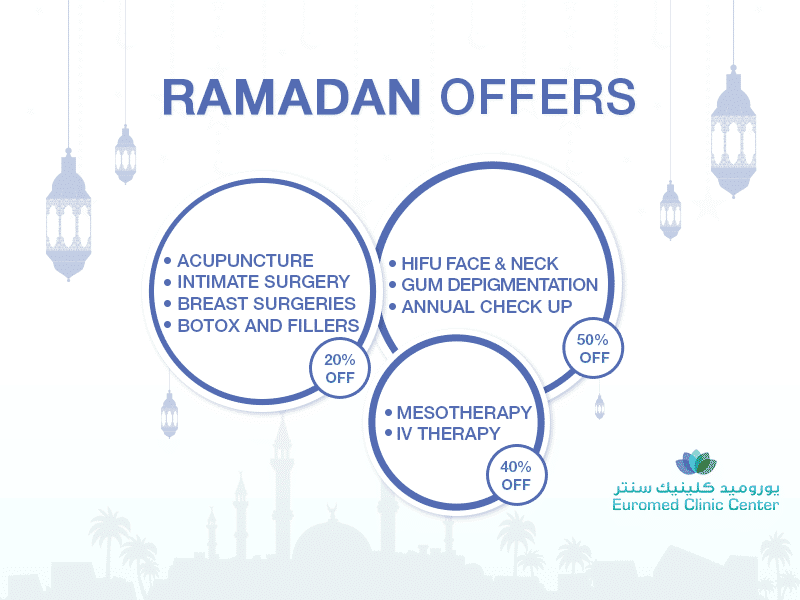 If you are interested in the latest acupuncture in Dubai from the Euromed Clinic Center Dubai, please do not hesitate to contact us to know more about it. Please contact us and consult with one of our acupuncture experts. You can call our number to speak to us or fill the short online form to write to us. For a quick chat, please use our chat box.